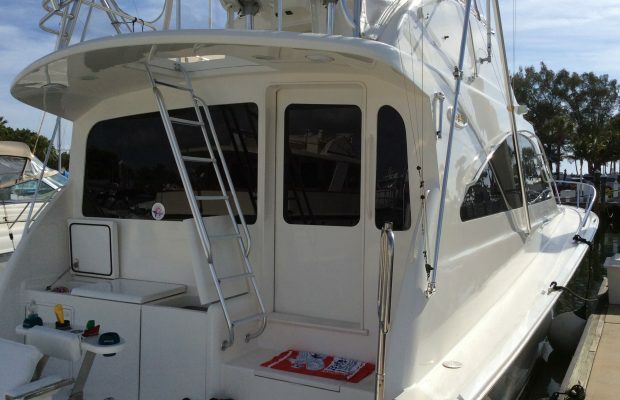 Window Tint Florida is Proud to Serve Tampa Florida! Residential Window Tint and Commercial Window Tint providing window film installation for Tampa and all of Florida. 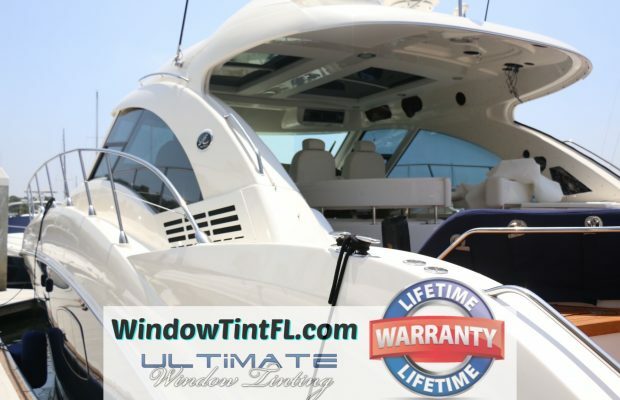 Window Tint Florida is one of the fastest growing providers of window tinting in Tampa (and in fact all up and down the state of Florida) and we want to make you our next satisfied customer. 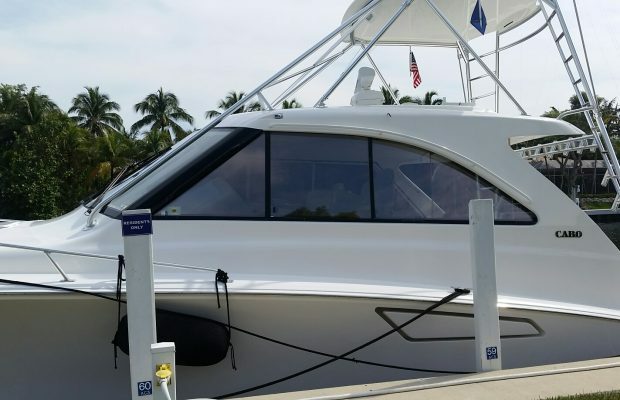 We install window films for both commercial and residential clients and have completed jobs at everything from marinas to motels, apartment complexes to single family homes. Sunny, lovely Tampa Florida is a great place to call home, but during those long, hot summer months the sun often shines for days on end and things get pretty darn hot around here! All that means huge electricity bills if you want to keep your home cool and comfortable. That air conditioner will run day and night if you let the sun come spilling into your home, but you also don’t want to close the shutters and blinds and hide out in the dark, right? Instead just use window tinting to block the heat but not the light! Window Tint Florida uses high quality Huper Optik window films developed in Germany and ion use all around the globe. Solar tinting window films are formulated to block out infrared and ultraviolet light rays, but still let in the lovely natural light you want in your Tampa home. Infrared light (AKA IR or thermal light) is the warming part of sunlight’s spectrum. You can’t see infrared light, but you sure can feel its heat! Blocking out IR rays with window films means your property won’t get heat up as much, and thus won’t cost as much to cool back down. Ultraviolet rays are not responsible for heat like IR rays, but they can cause a lot of damage. Ultraviolet light can fade wood floors and carpets, it can bleach upholstery, documents, and artwork, and it can even damage skin after prolonged exposure. Block out both IR and UV rays and keep your home Tampa, FL more energy-efficient and safer thanks to window film! The weakest part of your home, from a safety and security standpoint, is the windows. Thieves and vandals know it, and you’ll sure have that fact driven home when hurricane winds start to hurl objects around your property. In order to keep your family and your possessions safe, you owe it to yourself to consider installing security window films in your Tampa, FL home. Even in one of the most beautiful cities in Florida, bad things can happen: the investment you make in security window film will pay for itself many times over the first time an attempted break-in is thwarted or when your home is kept safe from flying debris during a storm. Security window films coat the glass of your windows, making it nearly impossible to shatter them into pieces. Even broken glass will remain in its frame and will not crack into many dangerous pieces. You might have to replace a window after it is the target of a burglar, but that will be the end of it! You love being able to see out of your home into lovely Tampa, but you surely don’t want people outside able to look peer back into your private residence, right? 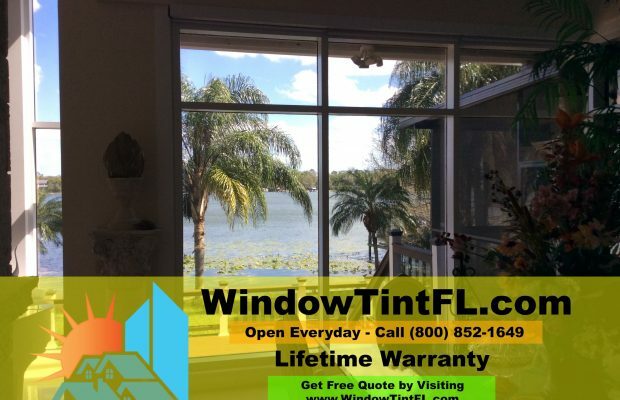 So let the team from Window Tint Florida install privacy window tinting films that leave your view crystal-clear to those inside looking out but make it nearly impossible for people outside to see into your home. Choose from multiple privacy window tinting film types, ranging from minor tinting for enhanced privacy to window films that totally block the view into your residence. Tampa Florida is filled with dozens of great restaurants and shops, gyms and offices of all kinds. It is a great place to do business, but if there is one thing any Tampa business owner/manager will tell you regardless of the business they run, it’s that keeping employees and clientele cool is costly. The sun shines bright on Tampa, and when things heat up, there’s no option but to crank up the A/C and your electricity bill if you want to keep things cool. That is, unless Window Tint Florida has tinted the windows of your Tampa commercial location, blocking the sun’s hot rays and keeping you HVAC costs from putting you in the red! Natural sunlight has a proven effect on productivity: it boosts mood and morale and leads to a staff that gets better, more efficient work done. But sunlight also rapidly heats up interior spaces when allowed to stream through windows unchecked. In order to keep your workplace cool enough for comfort yet bright enough to create an ideal professional environment, we highly recommend Tampa businesses use window tinting films installed by Window Tint Florida. By blocking the sun’s hot infrared rays and the damaging UV rays, window tinting makes your offices, restaurant, or retail location cooler and more energy efficient yet still filled with bright, natural light. Security window film just might be the best investment a Tampa, FL business operator can make. The first time your offices or shop are not broken into by would-be thieves or not damaged by debris hurled against the windows during a storm, that investment will pay for itself many times over. Without noticeably altering the appearance of your property, security window films can enhance the strength and resilience of your windows so much that even repeated hammer blows won’t knock the panes from their frames and even powerful blunt force, such as a heavy windblown object, won’t shatter the windows into multiple pieces. Security window films make your Tampa business safer and more secure the second their installation is complete, a process that usually lasts just a few hours. A commercial location must feel safe and comfortable in order for it to be a productive. Whether you own a restaurant fronting a busy sidewalk or manage a street-level suite of offices, you owe it to the people inside – your employees and clientele, that is – to keep them feeling like their privacy is protected. Rather than shutting the blinds and blocking the view out into lovely Tampa, just treat your business’s windows with privacy enhancing window film. This type of tinting blocks the view into an interior space while still letting pleasant natural light in and still allowing people inside to see out. It’s the best of both worlds, and at a price your business can afford. We are leading installer of both commercial and residential window films in Tampa, and we have grown our business statewide thanks to three simple factors: top quality materials, like our cutting edge Huper Optik window films; industry-leading expertise – our team is made up of specialists boasting years of experience and frequent re-training; and dedicated customer service – we work tirelessly to make sure our customers get the best pricing, the most efficient installation process, and have the overall best possible experience with our company. 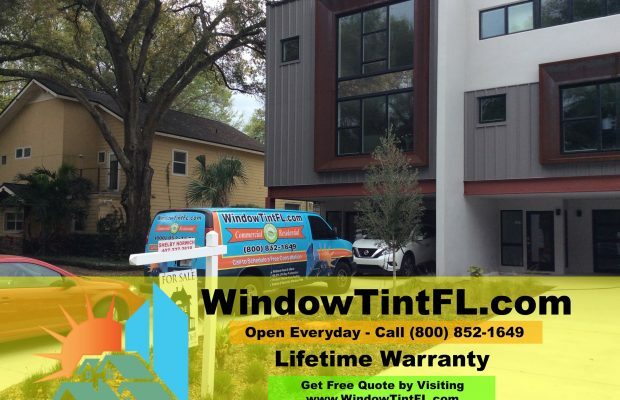 Window Tint Florida window tinting services in Tampa Bay provides residential and commercial window film and window tinting services in and around Tampa, Florida. We install top of the line Huper Optik window film which is available for both home and office building window applications. Security window film and safety window films help to hold glass together in the case of or break-in that could result in broken glass. Our window films are available with natural tones, privacy, security/safety, energy saving and decorative window films. Window film Tampa and window tinting Tampa are used for heat and glare reduction, energy savings, and UV fade protection. Window tinting solutions are available for heat rejection, glare reduction and UV fade protection from UV sun rays fading the interiors of a home and office. 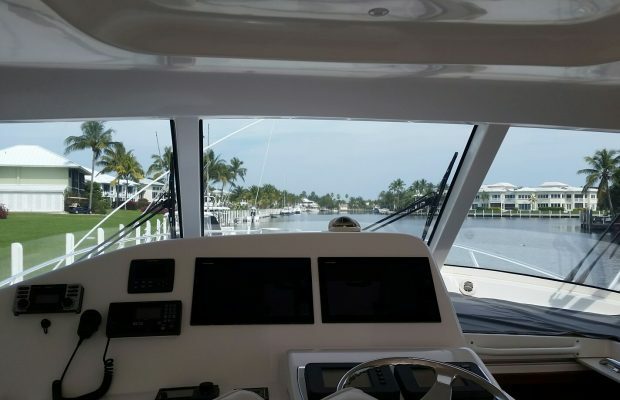 Window Tint Florida employees only experienced window film raftsmen who take pride in their work and make certain that each client is a tremendous third party referral. We match the right window film solution to your window film requirements and provide exceptional service through out all aspects of your window tinting installation and insure you are provided with the best in service and installation at your home or business. Window tinting rebates from TECO and Duke Energy with window film professional installation services. We provide the best quality residential window tinting Tampa services and window film products available. Installations for home and business owners looking to have window film Tampa or window tinting Tampa products applied to their residential or commercial location in the Tampa or Brandon, FL region. We have many reviews on angies list, google, and our company testimonials which reflects our attention to high quality service and installations. All of our services and the prestigious window film products can be installed on to your existing glass building windows. Decorative window film includes frost, stained glass, and designs for decorative film. Natural low-reflective tones can be used for home window film and home window film Tampa locations. Glass windows add increased value to a home, but along with that comes increased heat and hot spots. Our window tinting Tampa residential window film services can reduce solar energy heat while maintaining the view and natural sun light. House window film can block large amounts of solar energy resulting in cooler temperatures in your residential home window film. Home window film products will also reduce glare and the damaging UV rays or combine these benefits with a security home window film & safety home window film for even more house window film protection. Many residents can benefit from our residential window film with all of the additional benefits listed below. Use our house window film company for installation professional services. We provide completely free consultations to take the measurements and answer any questions you have. We like to give our best recommendation depending on your particular needs of the service. 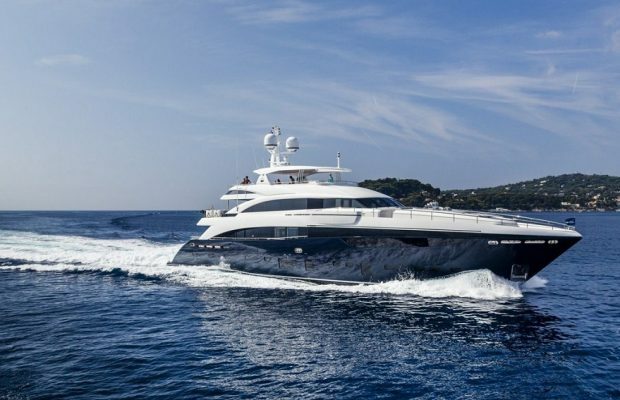 We value each and every customer and you will always receive our respect and honesty. 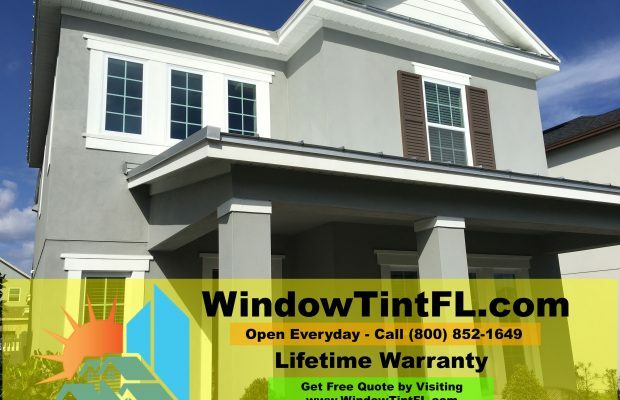 Home window tinting Tampa has superior Installation and quality. The products are only good as the installation so our customers can be rest assured they will receive the best residential installation possible on every single window. 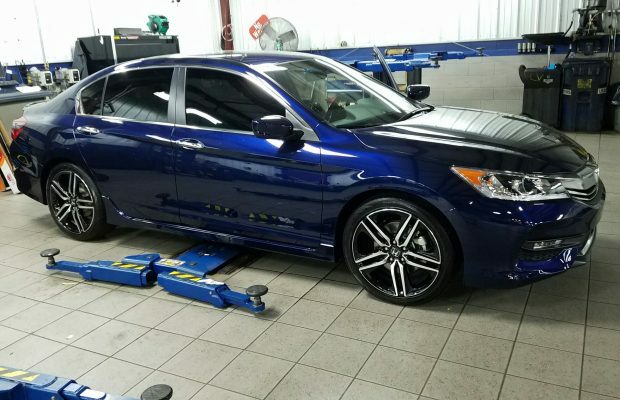 We take every step to achieve the cleanest and most detailed installations by taking our time with each job, using quality tools and materials while using the most advanced techniques in our window tinting installations.